A final design, which incorporates public feedback, has been selected for this project. See details below in the Status section. 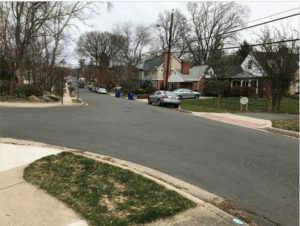 The final design will be implemented in late summer/early fall 2018. 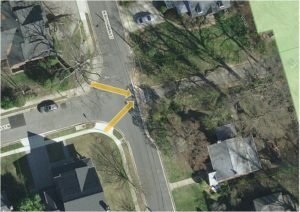 These intersections were selected for improvement because they feature an alignment that sends pedestrians into the center of the intersection in order for them to cross North Buchanan Street and enter Woodlawn Park. Additionally, 14th Street North is an existing bike route. 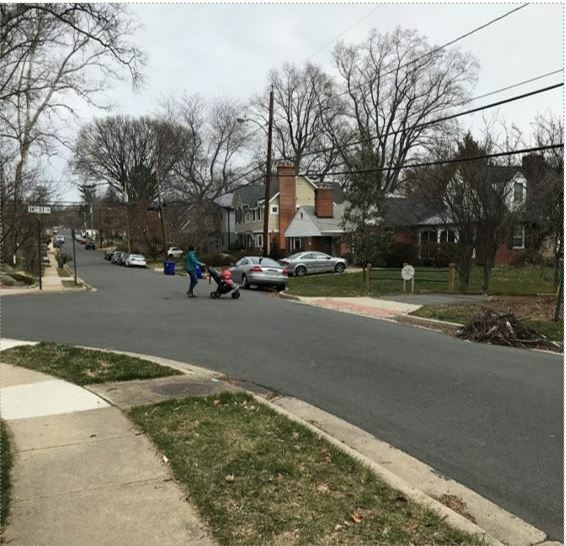 The Neighborhood Complete Streets (NCS) Program asked residents to tell the County where improvements are needed on our neighborhood streets. In spring 2017 we received more than 360 applications for safety improvements, which resulted in a list of 169 eligible potential projects.